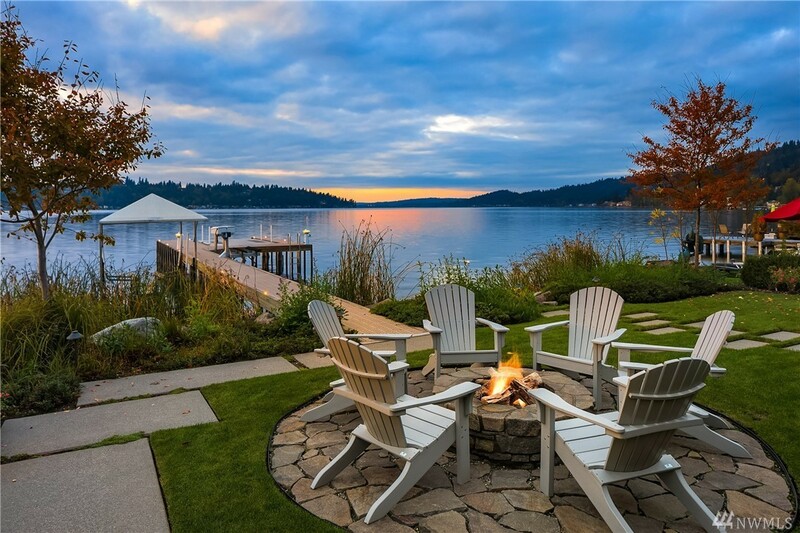 Welcome to this pristine gated estate on the sunshine coast of Lake Sammamish. An unparalleled level of construction & craftsmanship awaits. Quintessential lakefront living with wide open spaces & walls of glass to seamlessly blend indoor & outdoor living. Dine al fresco in the covered outdoor living room & enjoy dreamy sunsets. 50âof no bank waterfront, huge dock with seaplane & boat lifts. 5 bed main house & a detached house for guests. 4 car garage parking & gorgeous manicured grounds.